The xeus-cling project is a Jupyter kernel for the C++ programming language based on the Cling C++ interpreter from CERN and Xeus, the native implementation of the Jupyter protocol. The xeus-python project is a Jupyter kernel for the Python programming language based on the Xeus implementation of the protocol. The xwidgets project is a C++ implementation of the Jupyter interactive widgets protocol. The Python reference implementation is available in the ipywidgets ipywidgets project. xwidgets enables the use of the Jupyter interactive widgets in the C++ notebook, powered by the xeus-cling kernel and the cling C++ interpreter from CERN. xwidgets can also be used to create applications making use of the Jupyter interactive widgets without the C++ kernel per se. 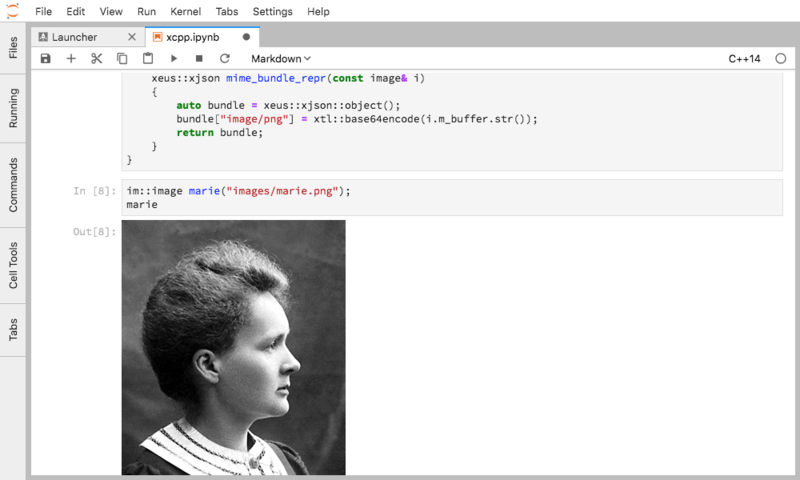 The JuniperKernel project is a Jupyter kernel for the R programming language built with Xeus and Rcpp.